NAHBS display bike, custom built by Dave Wages of Ellis Cycles with Shimano Di2 Ultegra and HED wheels. 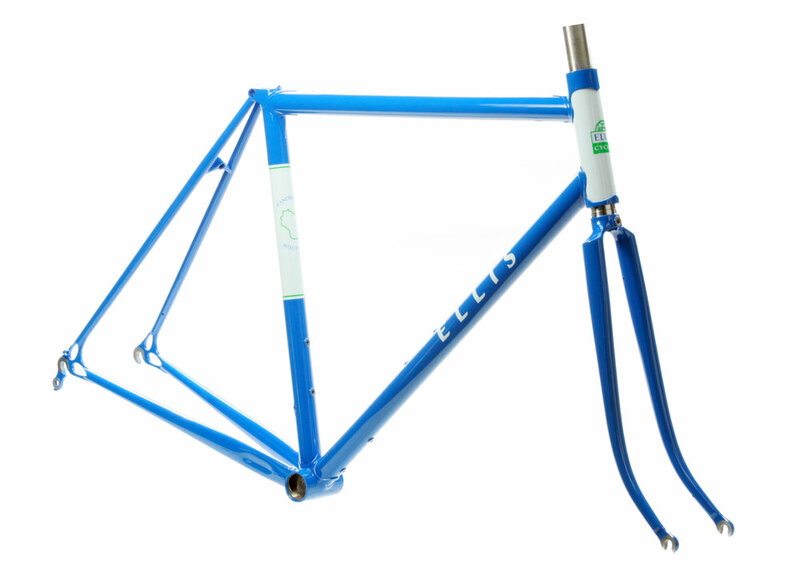 Every Strada frame is made to measure and built with a custom blend of tubing to perfectly match your riding needs. Kevin’s Strada features a Columbus Futura fork and flat mount disc brakes. 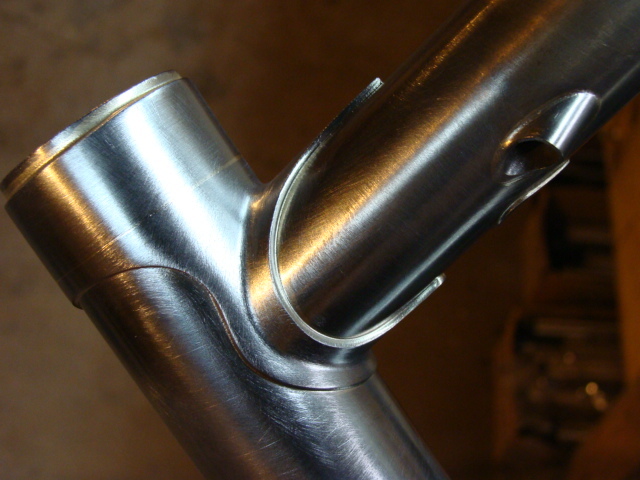 This detail of my stainless dropouts is always unpainted to minimize paint chipping during wheel changes. The stainless couplers on Ben's Strada allow him to pack the bike down into a suitcase sized box for traveling. I drill out and braze in a single bolt binder in all my seat lugs. It's simpler and means less chance of chipped paint. 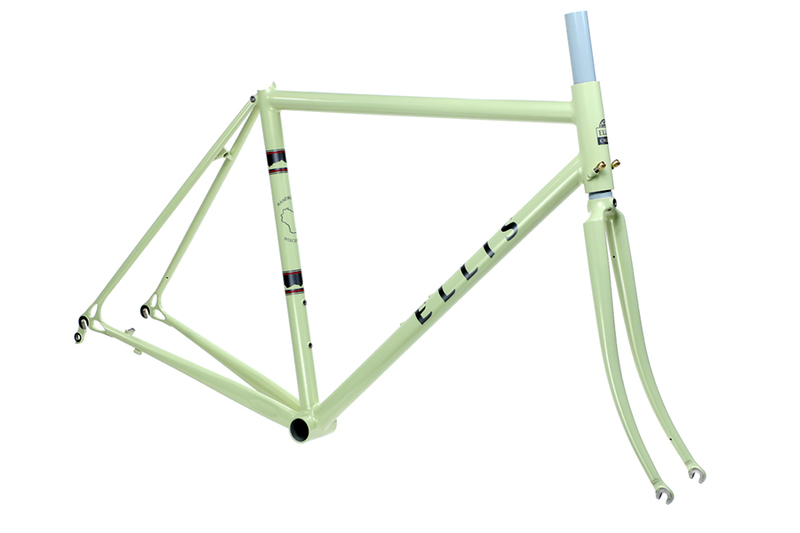 Tristan's Strada skips the lugs in favor of smooth fillet brazed joints, along with an optional ENVE carbon fork.